The Minister for International Development and Europe, Ben Macpherson, has announced an award of £320,500 to be granted to events across Scotland as part of the Scotland’s Winter Festival programme 2018/19. Celebrating Scotland’s three national days, St Andrew’s Day, Hogmanay and Burns Night, this year’s exciting programme supports a fantastic range of 20 events across 17 Local Authority areas. From toasting our patron saint on St Andrew’s Day on 30 November to Burns Night on 25 January, and with Hogmanay in between, the spirit and fun of Scotland’s winter season is celebrated with a range of exciting events. From storytelling to torchlight processions, from live music to beautiful light festivals the variety of events will welcome locals and tourists alike to celebrate Scotland’s culture, traditions and heritage. Scotland’s Winter Festivals will welcome the world to events right across Scotland. The events encourage Scots and Scots at heart to join in the St Andrew’s Day, Hogmanay and Burns celebrations, showcasing our unique world class tourism assets and raising Scotland’s international profile. “With their exciting and diverse programme of activity, Scotland’s Winter Festivals provide a great opportunity to celebrate everything great about our wonderful country during the winter months, reaching local and international audiences alike. 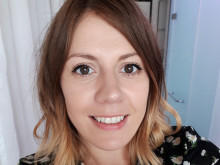 “Every year, our Winter Festivals welcome hundreds of thousands of people from far and wide, who come to Scotland to celebrate St Andrew’s Day, the Christmas period, Hogmanay and Burns Night, significantly boosting the economy and engaging with our diverse communities. The festivals are an occasion to showcase our unique, world-class tourism assets to a global audience. “We are delighted to have received support from Scotland’s Winter Festivals event fund. The SEALL Festival of Small Halls is very much a celebration of our traditional music and community spirit which reaches right across our remote rural townships, bringing us all together through festivity and friendship. “We can hardly believe that all this started in November last year with just an idea. Thanks to successful funding and an inordinate amount of hard work, the project has now become very real to everyone involved and the mood across the Island is one of excitement and very positive anticipation. Oban Winter Festival 16/11/2018 - 25/11/2018A ten day festival featuring St Andrew’s Day celebrations, markets, parades, fireworks, street entertainers, fairgrounds, family events, pipe bands, cèilidhs, whisky tasting, haggis tasting and so much more. Glasgow's St Andrew's Day Torchlight Parade 30/11/2018Community torchlight procession through the streets of Glasgow’s west end to mark Scotland’s Patron Saint Day, with pipe bands, samba drummers and fire performers.Everyone is invited. St Andrew’s Day: Where Ancient Tradition Meets Future Ambition 01/12/2018 – St Andrews. FifeHave a hoolie in St Andrews and celebrate Scotland’s National Day with cèilidh, fireworks, music, food, drink and much more. Scottish Storytelling Centre - Winter Festivals 30/11/2018 - 26/01/2019 - EdinburghScotland’s Best Performing Arts Venue (Sunday Herald Culture Awards) delivers an inclusive celebration of winter traditions, across generations, cultures and societies, from St Andrew’s Day celebrations to Burns Night. Night at the Museum 01/12/2018 & 27/01/2019 – Glasgow Fun packed Night at the Museum events with creative, inspirational and fun programmes, including music, talks, poetry, performances, object handling, and treasure trails. St Andrew’s Day ‘Scotland and the Culture of Comics’ will showcase the diversity of characters and storytelling, and provide opportunities for creating alternative worlds. Burns Night will celebrate ‘Pie, Pop and Play; Burns on Stage’, with an innovative children and family programme. Scotland’s Winter Festivals at An Lanntair 26/11/2018 - 25/01/2019 – Stornoway, LewisAn Lanntair’s Winter Festival events begin with a full week of activities to celebrate St Andrew’s day including cinema, food, drink and music of Scotland. The Burns weekend begins with a programme of music performed by The Neil Johnstone Quartet with the Nicolson Institute Girls’ Choir providing the songs in both Scots and Gaelic followed by an alternative Burns Supper. The following evening there will be a family friendly Scottish quiz night and a trad music session in An Lanntair’s bar and restaurant. 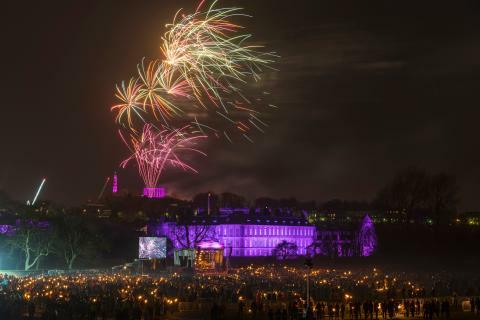 Edinburgh's Hogmanay 30/12/2018 - 01/01/2019 Marking Scotland’s Year of Young People 2018 coming to a close, Edinburgh’s Hogmanay officially gets underway with a celebration Scotland’s young citizens by giving them the limelight with the fiery finale of the popular Torchlight Procession (30 Dec) sharing their #ScotArt with the world. On the night itself (31 Dec), the Street Party will return bigger and better than ever with the Concert in the Gardens headlined by Franz Ferdinand. Bairns Afore will once again give children their midnight moment early on in the evening. There is something for everyone at this year’s Edinburgh’s Hogmanay including Ceilidh under the Castle, and Hogmanay HQ, an exclusive VIP party at The Hub. Kick 2019 off with a brisk dip in the chilly waters of the Firth of Forth with The Loony Dook or stay indoors in the beautiful surrounds of McEwan Hall for a series of concerts including the free First Footers Family Ceilidh and performances from Capercaillie and Carlos Nunez later that evening. Message from the Skies returns for 2019 and will run through to Burns Night, with a celebration of Scotland’s literature, in a co-commission with Edinburgh International Book Festival. Hogmanay in the Honest Toun31/12/2018 – Musselburgh, East LothianCelebrate Family Hogmanay in the Honest Toun at The Brunton. Fun for all the family includes lantern making, samba drumming, ceilidh swinging, panto, puppetry, fairytales and more! After all that, join the beautiful Apus Birds and mischievous Jacks of Frost with an early evening lantern procession to a FREE fireworks display on Musselburgh Links. Later, Hogmania celebrate the arrival of 2019 with LIVE music, food & pipers. Stromness Yule Log Competition 31/12/2018 – Stromness, OrkneyAfter 80 years, the Stromness Yule Log is back! Revived for Stromness 200 last year, this old tradition returns for Hogmanay 2018.The Northenders and Soothenders will once again do battle. Split roughly along an old town boundary the teams will once again try and pull the yule log to their territory. This year, in support of the Year of Young People 2018, the event will include a Junior log pull, expanding the reincarnation of this traditional event to the towns youth. Shetland Arts Presents: Hogmanay with the Peatbog Faeries 31/12/2018 - Mareel, ShetlandBring in 2019 in spectacular style with the Peatbog Faeries in a celebration of the best in contemporary folk music! The night will begin with a traditional Shetland variety concert, opened by the Peatbog Faeries with performances by local bands and musicians, followed by supper and the chance to relax in one of the cinema screens, while the stage is re-set for the Peatbog Faeries to bring in the bells for Hogmanay 2018! Aberdeen’s Hogmanay 31/12/2018Bring in the bells at our open-air stage on Schoolhill with live music and a spectacular firework display from the roof of His Majesty's Theatre. Stonehaven’s Fireballs Ceremony31/12/2018 - AberdeenshireThe Fireball Ceremony is Stonehaven's unique way to welcome in the New Year and greet friends and neighbours. As the midnight chimes ring out on December 31st, approximately 40 men and women parade up and down the High Street swinging fiercely flaming balls around their heads. Stirling’s Hogmanay 31/12/2018Bring in the New Year on Stirling Castle Esplanade with live music, food, friends and family under spectacular fireworks displays. There can be no better place to bring in the New Year with friends. Fire and Light 01/01/2019 - 02/01/2019 – Helix Park, FalkirkStart your New Year with a magical 4km walk around the Helix, Home of the Kelpies. The park will be transformed into an extraordinary spectacle of fire performances, interactive light installations, breath-taking puppetry, enchanting sculptures, and animated projections depicting the zodiac signs. Find out what your future holds. Big Burns Supper 24/01/2019 - 03/02/2019 – DumfriesBig Burns Supper is Scotland’s landmark Burns Night event which takes place in Dumfries and features a heady mixture of cabaret, comedy, music and entertainment in over 30 different venues as the town goes bonkers for 11 days of winter magic. Burns and Beyond 22/01/2019 – 27/01/2019 - EdinburghFrom Unique Events, the team behind the critically acclaimed ‘Scot:Lands’ is a new festival called Burns & Beyond, celebrating the life and legacy of Robert Burns and bringing together the best and brightest of Scotland’s cultural landscape. This innovative new event will invite audiences to experience free and ticketed events from 22 – 27 January in venues throughout Edinburgh city centre, including the spectacular Museum of the Moon @ St Giles’ Cathedral, The Burns Supper and a brand new Culture Trail experience. Visit www.burnsandbeyond.com for programme and ticket information. Burns' Birthday in Mauchline 27/01/2019 – East Ayrshire Join in the celebrations of our national bard with an afternoon of art workshops, kirkyard tours, storytelling, performances and much more at the Burns House Museum. Suitable for all the family. Perth Riverside Light Nights - Burns Night 26/01/2019 – 27/01/2019 Perth will celebrate the contribution Robert Burns has made to Scottish culture, with live entertainment and fun with a Scottish twist as part of the Riverside Light Nights event. On the Saturday, there will also be a themed parade starting in Perth city centre, and heading over the bridge to bring participants to the venue. Click here to watch a video highlighting some of the celebrations as part of the Scotland’s Winter Festivals programme 2018/19. 1. This aim of the St Andrew’s Day events programme is to boost the tourism economy in the low season by encouraging more people in Scotland to celebrate by attending events and creating the opportunity to support our local communities. 3. There are many ways to get involved and celebrate Scotland’s cultural strengths and core values this St Andrew’s Day. A wide range of national and community events will take place across Scotland from 16th November until 3rd December and full details of these and ways to support local communities will be live on www.scotland.org/standrewsday from 1st November. 1. Scotland is world-renowned as the home of Hogmanay, celebrated on 31 December. Fire festivals, torchlight processions, street parties, live music and fireworks and a warm welcome to all, make Scotland the best place in the world to see in the New Year. 2. Scotland boasts a wide variety of Hogmanay celebrations, from large scale events such as Edinburgh’s Hogmanay, which in 2017 generated £39m for Scotland’s economy and attracted over 165,000 visitors last year from over 80 countries to smaller, regional gatherings. 3. Scotland is renowned for its Hogmanay traditions with people celebrating in pubs, community clubs and village halls across the country or hosting their own events at home which embrace traditions both old and new. 1. Robert Burns is Scotland’s national poet and his birthday is marked every year on January 25th with celebrations of his life and his cultural legacy at home and around the world. 2. After his death at the age of just 37, Burns’ works became internationally renowned and the sentiments of many of his poems and songs continue to resonate to this day with people from all corners of the world singing ‘Auld Lang Syne’ to bring in the New Year. 3. A Burns Supper is an inspiring event to be part of. The haggis is traditionally piped in to dinner and then specifically addressed in poetry. Further poems including ‘A Toast to the Lassies’ are exchanged by dinner guests with accompanying drams of whisky, however there are many modern variations and twists on these traditions that befits Scotland, a country that champions fairness, equality and inclusivity. 4. Learn more about Robert Burns himself and how to hold your own modern Burns Supper as well as the meaning behind some of his most famous words and phrases by visiting scotland.org/burns.